In 2007, the Next Generation Sequencing (NGS) Technology was at the crest of realizing high throughput and prevision genetic testing for multigene and complex genetic diseases. Two professors from Emory University School of Medicine founded Otogenetics with support from National Institute of Health (NIH) to develop and provide the most advanced genetic testing to the research institutions and clinical care providers. Otogenetics began offering NGS as a service to the commercial market in 2011 and launched its first clinical genetic test in the same year; – sequencing more than 100 genes associated with Syndromic and Non-Syndromic Hearing Loss. Since, the company has served both renowned Academic and Research Institutions and Clinical Diagnostic Laboratories in more than 30 countries. Our US customers include National Institute of Health (NIH), Center for Disease Control, (CDC), Harvard University, Stanford University, University of California San Francisco, and Massachusetts Institute of Technology (MIT). Being based in Atlanta, Otogenetics has been working in partnership with flagship institutions in Georgia such as Emory University, Emory University Genetic Laboratory now Emory Genetic Laboratories (EGL), Georgia Institute of Technology, University of Georgia, Georgia State University, Georgia Southern University, Clark Atlanta University, Mercer University, and Atlanta-based CDC. Otogenetics was the first laboratory in the USA to enroll in CAP NGS proficiency tests and received 100% accuracy each time. The company holds CLIA Certification and is licensed in Georgia, California, Florida, and New York* to provide clinical genetic testing. (*Special license to provide hearing loss gene testing in New York State). Test offering now includes Hereditary Cancer Risk Assessment, Single Gene and Expanded Carrier Screening, Pharmacogenomics & Personalized Medicine, Cardiomyopathy, Whole Exome & RNA Sequencing for precision treatment of tumors, and testing for Rare Diseases. Disease panels are designed for both clinical research collaborators and clinical diagnostics. NGS performed by Otogenetics provide clinicians and researchers with test results for genetic diagnoses and risk assessment and have resulted in the publications after rigorous expert reviews in highly reputable biomedical journals including Nature and Nature Medicine, attesting to the high caliber and quality of the gene panel design offered by the company. Otogenetics has also assisted medical schools in training a new generation of medical students in precision medicine. Selected publications and white papers are found above on the publications tab. 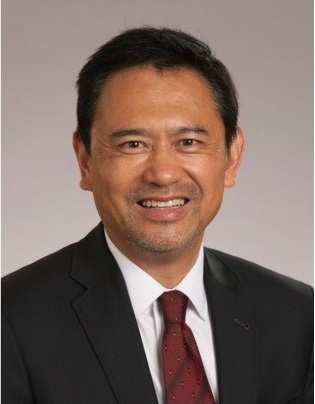 Dr. Lin did his post-doctoral training at University of Chicago and Northwestern University and is currently a tenured professor at Emory University School of Medicine. He has received grant awards from NIH for basic and translational research, and biomedical business development. In addition to leading the research effort in the Department of Otolaryngology – Head and Neck Surgery and training students, postdoc, and residents, Dr. Lin participates frequently in NIH study sessions and reviews research and clinical grant applications for NIH. Dr. Lin is also on the editor board of PlosOne and the Journal of Otorhinolaryngology, Hearing and Balance Medicine. His research interests are gene therapy, genetics, and neuroscience. He has published several papers on the genetics and physiology of the auditory system in highly regarded journals, including PNAS, EMBO Molecular Medicine, Cell Research, American Journal of Medical Genetics, and Journal of Neuroscience. Dr. Chen is a tenured Associate Professor at Emory University School of Medicine. She has received grant awards from NIH, March of Dimes Foundation of Birth Defect Research, and Human Frontier Science Program, European Union. She is an editor of the Journals Cilia and Developmental Dynamics, and a frequent guest editor for PloS Genetics. In addition to teaching and training graduate and medical students, and post-doctoral fellows, Dr. Chen is a reviewer for NIH cell biology and auditory study sections, and a member of NIH fellowship reviewer committee. 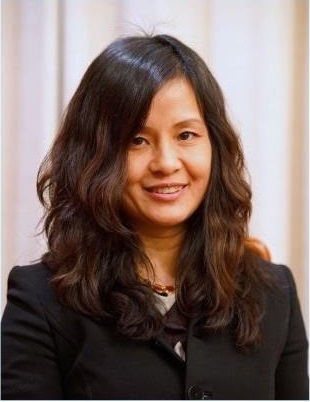 She also participates frequently in international science program reviews including UK Wellcome Foundation and National Science Foundation in China. Her research interest is focused on cell biology, developmental biology, and genetics. She has published numerous papers on development and cell biology in prestigious journals, including Cell, Nature Cell Biology, Nature Genetics, PNAS, and Development. Dr. Hung is a clinical pathologist with vast clinical pathology practice experience and medical licenses in several states. 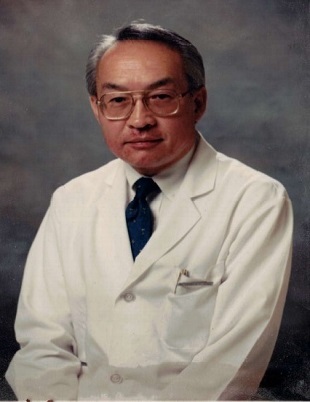 He had served as a teaching fellow in Pathology in Tufts University School of Medicine, chief of Laboratory Services in Navy Hospital in South Carolina, and director of laboratory in several medical centers and hospitals before joining Otogenetics as the medical director and the director of laboratory. Su Y, Shen X, Chen J, Isales C.M., Zhao J, Shi X-M. (2017) Differentially expressed genes in PPARg-deficient MSCs. Molecular and Cellular Endocrinology. Available online 31 July 2017. Nel M, Dashti MJS, Gamieldien J, Heckmann JM. (2017) Exome sequencing identifies targets in the treatment-resistant phathalmoplegic subphenotype of Myasthenia Gravis. Neuromuscular Disorders. Available online June 21, 2017. Petropoulou E, Soltani M, Firoozabadi AD, Namayandeh SM, Crockford J, Maroofian R, Jamshidi Y. (2017) Digenic inheritance of mutations in the cardiac troponin (TNNT2) and cardiac beta myosin heavy chain (MYH7) as the cause of severe dilated cardiomyopathy. European Journal of Medical Genetics, Available online 19 June 2017. Cox AJ, Darbro BW, Laxer RM, Velez G, Bing X, Finer AL, et al. (2017) Recessive coding and regulatory mutations in FBLIM1 underlie the pathogenesis of chronic recurrent multifocal osteomyelitis (CRMO). PLoS ONE 12(3): e0169687. Kim BJ, Kim AR, Han JH, Lee C, Oh DY, Choi BY. (2017) Discovery of MYH14 as an important and unique deafness gene causing prelingually severe autosomal dominant non-syndromic hearing loss. J Gene Med. doi: 10.1002/jgm.2950. Amin SV, Roberts JT, Patterson DG, Coley AB, Allred JA, Denner JM, Johnson JP, Mullen GE, O’Neal TK, Smith JT, Cardin SE, Carr HT, Carr SL, Cowart HE, DaCosta DH, Herring BR, King VM, Polska CJ, Ward EE, Wise AA, McAllister KN, Chevalier D, Spector MP & Borchert GM. (2016) Novel small RNA (sRNA) landscape of the starvation-stress response transcriptome of Salmonella enterica serovar typhimurium. RNA Biology 13 (3): 331-342. Gerhard, GS, Paynton B, Popoff SN. (2016) Integrating Cadaver Exome Sequencing Into a First-Year Medical Student Curriculum. JAMA 315(6):555-556. Crea F, Quagliata L, Michael A, Liu HH, Frumento P, Azad AA, Xue H, Pikor L, Watahiki A, Morant R, Eppenberger-Castori S, Wang Y, Parolia A, Lennox KA, Lam WL, Gleave M, Chi KN, Pandha H, Wang Y, Helgason CD. (2016) Integrated analysis of the prostate cancer small-nucleolar transcriptome reveals SNORA55 as a driver of prostate cancer progression. Mol Oncol. 10(5):693-703. Dad S, Rendtorff ND, Tranebjærg L, Grønskov K, Karstensen HG, Brox V, Nilssen Ø, Roux AF, Rosenberg T, Jensen H, Møller LB. (2016) Usher syndrome in Denmark: mutation spectrum and some clinical observations. Mol Genet Genomic Med. 4(5):527-539. Dad S, Rendtorff ND, Kann E, Albrechtsen A, Mehrjouy MM, Bak M, Tommerup N, Tranebjærg L, Rosenberg T, Jensen H, Møller LB. (2015) Partial USH2A deletions contribute to Usher syndrome in Denmark. Eur J Hum Genet 23, 1646–1651. Yuan Y, Gao X, Huang B, Lu J, Wang G, Lin X, Qu Y, Dai P. (2016) Phenotypic Heterogeneity in a DFNA20/26 family segregating a novel ACTG1 mutation. BMC Genet. 17:33. doi: 10.1186/s12863-016-0333-1. Yin-Hung Lin, Chen-Chi Wu, Tun-Yen Hsu, Wei-Yih Chiu, Chuan-Jen Hsu, Pei-Lung Chen. (2015) Identification of a novel GATA3 mutation in a deaf Taiwanese family by massively parallel sequencing, Mutation Research/Fundamental and Molecular Mechanisms of Mutagenesis, Volume 771, Pages 1-5, ISSN 0027-5107. Kim BJ, Kim AR, Park G, Park WY, Chang SO, Oh SH, Choi BY. (2015) Targeted Exome Sequencing of Deafness Genes After Failure of Auditory Phenotype-Driven Candidate Gene Screening. Otol Neurotol. 36(6):1096-102. doi: 10.1097/MAO.0000000000000747. Gao X, Huang SS, Yuan YY, Wang GJ, Xu JC, Ji YB, Han MY, Yu F, Kang DY, Lin X, Dai P. (2015) Targeted gene capture and massively parallel sequencing identify TMC1 as the causative gene in a six-generation Chinese family with autosomal dominant hearing loss. Am J Med Genet A. 167A(10):2357-65. doi: 10.1002/ajmg.a.37206. Gu X, Guo L, Ji H, Sun S, Chai R, Wang L, Li H. (2015) Genetic testing for sporadic hearing loss using targeted massively parallel sequencing identifies 10 novel mutations. Clin Genet. 87(6):588-93. doi: 10.1111/cge.12431. Ibarrola&dash;Villava M, Kumar R, Nagore E, Benfodda M, Guedj M, Gazal S, Hu HH, Guan J, Rachkonda PS, Descamps V, Basset&dash;Seguin N. (2015) Genes involved in the WNT and vesicular trafficking pathways are associated with melanoma predisposition. International Journal of Cancer.136(9):2109-19. Wang H, Lai Y, Mathis BJ, Wang W, Li S, Qu C, Li B, Shao L, Song H, Janicki JS, Sun SC, Wang XL, Tang D, Cui T. (2015) Deubiquitinating enzyme CYLD mediates pressure overload-induced cardiac maladaptive remodeling and dysfunction via downregulating Nrf2. J Mol Cell Cardio. 84:143-53. Ji H, Lu J, Wang J, Li H, Lin X. (2014) Combined examination of sequence and copy number variations in human deafness genes improves diagnosis for cases of genetic deafness. BMC Ear Nose Throat Disord. 14:9. doi: 10.1186/1472-6815-14-9. Gao X, Wang GJ, Yuan YY, Xin F, Han MY, Lu JQ, Zhao H, Yu F, Xu JC, Zhang MG, Dong J, Lin X, Dai P. (2014) Novel compound heterozygous mutations in MYO7A Associated with Usher syndrome 1 in a Chinese family. PLoS One. 9(7):e103415. doi: 10.1371/journal.pone.0103415. Yuan Y, Zhang J, Chang Q, Zeng J, Xin F, Wang J, Zhu Q, Wu J, Lu J, Guo W, Yan X, Jiang H, Zhou B, Li Q, Gao X, Yuan H, Yang S, Han D, Mao Z, Chen P, Lin X, Dai P. (2014) De novo mutation in ATP6V1B2 impairs lysosome acidification and causes dominant deafness-onychodystrophy syndrome. Cell Res. 24(11):1370-3. doi: 10.1038/cr.2014.77. Crea F, Watahiki A, Quagliata L, Xue H, Pikor L, Parolia A, Wang Y, Lin D, Lam WL, Farrar WL, Isogai T, Morant R, Castori-Eppenberger S, Chi KN, Wang Y, Helgason CD. (2014) Identification of a long non-coding RNA as a novel biomarker and potential therapeutic target for metastatic prostate cancer. Oncotarget. 5(3):764-74. Vona B, Neuner C, El Hajj N, Schneider E, Farcas R, Beyer V, Zechner U, Keilmann A, Poot M, Bartsch O, Nanda I, Haaf T (2014). Disruption of the ATE1 and SLC12A1 Genes by Balanced Translocation in a Boy with Non-Syndromic Hearing Loss. Mol Syndromol 5(1), 3–10. Kunisaki Y, Bruns I, Scheiermann C, Ahmed J, Pinho S., Zhang D, Mizoguchi T, Wei Q, Lucas D, Ito K, Mar JC, Bergman A, Frenette PS. (2013) Arteriolar niches maintain haimatopoietic stem cell quiescence. Nature 502, 637-643. Vona B, Nanda I, Neuner C, Müller T, Haaf T (2013) Confirmation of GRHL2 as the gene for the DFNA28 locus.American Journal of Medical Genetics Part A. 161A, 2060-5. Vemula SR, Puschmann A, Xiao J, Zhao Y, Rudzinska M, Frei KP, Troung DD, Wszolek ZK, LeDoux MS. (2013) Role of Gα(olf) in familial and sporadic adult-onset primarydystonia. Hum. Mol. Genet. 22(12):2510-9. Sarig O., Goldsher D., Nousbeck J., Fuchs-Telem D., Cohen-Katsenelson K., Iancu T.C., Manov I., Saada A., Sprecher E., Mandel H. (2013) Infantile mitochondrial hepatopathy is a cardinal feature of MEGDEL syndrome (3-methylglutaconic aciduria type IV with sensorineural deafness, encephalopathy, and Leigh-like syndrome) caused by novel mutations in SERAC1. American Journal of Medicine Genetics Part A 161(9), 2204–2215. Hu Y., Chen I.P., de Almeida S., Tiziani V., Do Amaral C.M.R., et al. (2013) A Novel Autosomal Recessive GJA1 Missense Mutation Linked to Craniometaphyseal Dysplasia. PLOS ONE 8(8), e73576. Matsuura T, Kurosaki T, Omote Y, Narihiro M, Hayashi YK, Nishino I, and Abe K (2013) Exome sequencing as a diagnostic tool to identify a causal mutation in genetically highly heterogeneous limb-girdle muscular dystrophy. Journal of Human Genetics 58, 564-565. Goldenberg-Cohen N, Banin E, Zalzstein Y, Cohen B, Rotenstreich Y, Rizel L, Basel-Vanagaite L, and Ben-Yosef T. (2013) Genetic heterogeneity and consanguinity lead to a “double hit”: Homozygous mutations of MYO7A and PDE6B in a patient with retinitis pigmentosa. Molecular Vision Biology and Genetics in Vision Research 19, 1565–1571. Helmer RA, Martínez-Zaguilán R, Dertien JS, Fulford C, Foreman O, Peiris V, Chilton BS (2013) Helicase-like transcription factor (hltf) regulates g2/m transition, wt1/gata4/hif-1a cardiac transcription networks, and collagen biogenesis. PLoS One. 8(11), e80461. Helmer RA, Foreman O, Dertien JS, Panchoo M, Bhakta SM, Chilton BS (2013) Role of Helicase-Like Transcription Factor (Hltf) in the G2/M Transition and Apoptosis in Brain. PLOS One. 8(6), e66799. Tesorero R.A., Yu N., Wright J.O., Svencionis J.P., Cheng Q., et al. (2013) Novel Regulatory Small RNAs in Streptococcus pyogenes. PLOS ONE 8(6), e64021. Campello L. and Martín-Nieto J. (2013) RNA-Seq expression profile of genes related to neurodegenerative disorders affecting the human retina. EMBnet. journal 19 (Suppl. A), 40-41. Torella A, Fanin M, Mutarelli M, Peterle E, Del Vecchio Blanco F, et al. (2013) Next-Generation Sequencing Identifies Transportin 3 as the Causative Gene for LGMD1F. PLOS ONE 8(5), e63536. Tiffin HR, Jenkins ZA, Gray MJ, Cameron-Christie SR, Eaton J, Aftimos S, Markie D, and Robertson S. (2013) Dysregulation of FHL1 spliceforms due to an indel mutation produces an Emery–Dreifuss muscular dystrophy plus phenotype. Neurogenetics 14(2), 113-121. Poulter JA, El-Sayed W, Shore RC, Kirkham J, Inglehearn CF, and Mighell AJ. (2013) Whole-exome sequencing, without prior linkage, identifies a mutation in LAMB3 as a cause of dominant hypoplastic amelogenesis imperfecta. European Journal of Human Genetics. 22(1):132-5. Janicki P.K., Vaida S., Hamid A., Al-Mondhiry B. (2013) Targeted Next-Generation Resequencing of Gene Identifies Novel Multiple Variants Pattern in Severe Hereditary Factor V Deficiency. Case Reports in Genetics, 941684-941690. Nichols, A.C., Chan-Seng-Yue M., Yoo J., et al. (2013) A Case Report and Genetic Characterization of a Massive Acinic Cell Carcinoma of the Parotid with Delayed Distant Metastases. Case Reports in Oncological Medicine, 270362-270368. Wu CC, Lin YH, Lu YC, Chen PJ, Yang WS, et al. (2013) Application of Massively Parallel Sequencing to Genetic Diagnosis in Multiplex Families with Idiopathic Sensorineural Hearing Impairment. PLOS ONE 8(2), e57369. Linden Phillips L., Bitner-Glindzicz M., Lench N., Steel K.P., Langford C., Dawson S.J., Davis A., and Simpson S. (2013) The future role of genetic screening to detect newborns at risk of childhood-onset hearing loss. International Journal of Audiology 52(2), 124-133. Volodarsky M., Markus B., Cohen I., Staretz-Chacham O., Flusser H., Landau D., Shelef I., Langer Y., Birk OS. (2013) A Deletion Mutation in TMEM38B Associated with Autosomal Recessive Osteogenesis Imperfecta. Human Mutation. 34, 582-6. Card C, Anderson EJ, Zamberlan S, Krieger KB, Kaproth M, Sartini BL. (2013) Cryopreserved Bovine Spermatozoal Transcript Profile as Revealed by High-Throughput Ribonucleic Acid Sequencing. Biology of Reproduction. 88, 49. Sun N, Fonzi W, Chen H, She X, Zhang L, Zhang L, Calderone R. (2013) Azole Susceptibility and Transcriptome Profiling in Candida albicans Mitochondrial Electron Transport Chain Complex I Mutants. Antimicrobial Agents and Chemotherapy. 57(1), 532-42. Moscovich M, LeDoux MS, Xiao J, Rampon GL, Vemula SR, Rodriguez RL, Foote KD, Okun MS. (2013) Dystonia, facial dysmorphism, intellectual disability and breast cancer associated with a chromosome 13q34 duplication and overexpression of TFDP1: case report. BMC medical genetics. 14(1):70. Markus B, Narkis G, Landau D, Birk RZ, Cohen I, and Birk OS. (2012) Autosomal Recessive Lethal Congenital Contractural Syndrome Type 4 (LCCS4) Caused by a Mutation in MYBPC1. Human Mutation. 33, 1435-8. Khateb S., Zelinger L., Ben-Yosef T., Merin S., Crystal-Shalit O., Gross M., Banin E., Sharon D. (2012) Exome Sequencing Identifies a Founder Frameshift Mutation in an Alternative Exon of USH1C as the Cause of Autosomal Recessive Retinitis Pigmentosa with Late-Onset Hearing Loss. PLoS One. 7(12), e51566. Visconte V, Rogers HJ, Singh J, Barnard J, Bupathi M, Traina F, McMahon J, Makishima H, Szpurka H, Jankowska A, Jerez A, Sekeres MA, Saunthararajah Y, Advani AS, Copelan E, Koseki H, Isono K, Padgett RA, Osman S, Koide K, O’Keefe C, Maciejewski JP, and Tiu RV, (2012) SF3B1 haploinsufficiency leads to formation of ring sideroblasts in myelodysplastic syndromes. Blood. 120(16), 3173-3186. Yu, M., Hon, G.C., Szulwach, K.E., Song, C.X., Zhang, L., Kim, A., Li, X., Dai, Q., Shen, Y., Park, B., Min, J.H., Jin, P. *, Ren, B., and He. C. (2012) Base-Resolution Analysis of 5-Hydroxymethylcytosine in the Mammalian Genome. Cell. 149, 1368-80. Tang W, Qian D, Ahmad S, Mattox D, Wendell Todd N, Han H, Huang S, Li Y, Wang Y, Li H, and Lin X. (2012) A Low-Cost Exon Capture Method Suitable for Large-Scale Screening of Genetic Deafness by the Massively-Parallel Sequencing Approach. Genetic Testing and Molecular Biomarkers. 16, 536-42. Lin X, Tang W, Ahmad S, Lu J, Colby CC, Zhu J, Yu Q. (2012) Applications of targeted gene capture and next-generation sequencing technologies in studies of human deafness and other genetic disabilities. Hearing Research. 288, 67-76. X Gao, MS Oei, CE Ovitt, M Sincan, JE Melvin – Physiological Genomics, (2018) Transcriptional Profiling Reveals Gland-specific Differential Expression in the Three Major Salivary Glands of the Adult Mouse… animal. The 18 gland 107 samples were shipped overnight to Otogenetics Corporation(Atlanta, GA). Total RNA was 108 … reads. 122 Analysis and Comparison of RNA-Seq Data. W Li, Y Huang, D Sargsyan, TO Khor, Y Guo, L Shu… – Cell & Bioscience, (2018) Epigenetic alterations in TRAMP mice: epigenome DNA methylation profiling using MeDIP-seq … DNAnexus, Inc., Mountain View, CA, USA). The samples were sent to Otogenetics Corp. (Norcross, GA) for Illumina sequencing and alignment with the reference mouse genome. D Cassatella, S Howard, J Acierno, C Xu, G Papadakis… – European Journal of …, (2018) Congenital Hypogonadotropic Hypogonadism and Constitutional Delay of Growth and Puberty Have Distinct Genetic Architectures… 9 V2 (Roche, Basel, Switzerland), and sequenced on the HiSeq 2000 platform (Illumina, San Diego, USA) at either BGI (BGI, Shenzen, PRC) or Otogenetics (Otogenetics Corp., Atlanta, USA). N Michael, MM Juliet, GW Anne, R Lisa, H Joshua… – Molecular Genetics and …, 2018 Tread carefully: A functional variant in the human NADPH oxidase 4 (NOX4) is not disease causing… The skin demonstrated hyperkeratosis, parakeratosis and an absent granular layer. 2.2. WES and bioinformatics. DNA extracted from the blood of the proband, and her parents were subjected to WES, performed by Otogenetics. S Asgharzade, MA Tabatabaiefar, J Mohammadi-asl… – International Journal of …, (2018) A novel missense mutation in GIPC3 causes sensorineural hearing loss in an Iranian family revealed by targeted next-generation sequencing … Based on the literature review of the most frequent loci, both globally and regionally, 15 lociwere selected for screening in this family (results not shown) and were found to be negative [ 12]. S Khateb, B Kowalewski, N Bedoni, M Damme… – Genetics in Medicine, (2018) A homozygous founder missense variant in arylsulfatase G abolishes its enzymatic activity causing atypical Usher syndrome in humans… homozygositymapper.org). WES analysis of individuals MOL0120 III:2 and MOL0737 II:2 was performed at Otogenetics (Norcross, GA) using Agilent V4 (Santa Clara, CA, USA) and Illumina HiSeq 2000 with 30 × coverage. A Khalil, S Markowitz – US Patent 20,170,268,008, (2017) DIAGNOSTIC AND THERAPEUTIC TARGETING OF DNMT-1 ASSOCIATED RNA IN HUMAN CANCER A method for treating cancer in a subject in need thereof includes administering to cancer cells of the subject an agent effective to modulate the level of DNMT1-associated RNA and/or the interaction. DB Wilburn, RC Feldhoff – bioRxiv, 2018 An annual cycle of gene regulation in the red-legged salamander mental gland: from hypertrophy to expression of rapidly evolving pheromones Page 1. – 1 – An annual cycle of gene regulation in the red-legged salamander mental gland: from hypertrophy to expression of rapidly evolving pheromones Damien B.
JR Rudman, C Mei, SE Bressler, SH Blanton, XZ Liu – Journal of Genetics and …, 2018 Precision medicine in hearing loss Precision medicine (PM) proposes customized medical care based on a patient’s unique genome, biomarkers, environment, and behaviors. Hearing loss (HL) is the mo. GJW Huang, Y Su, J Li, DY Kang, MG Zhang, X Lin… A missense mutation in POU4F3 causes mid-frequency hearing loss in a Chinese ADNSHL family Capture and NGS of the coding exons for the 129 deafness genes and their flanking100 bps (Supplemental Table 1) were performed on an Illumina HiSeq 2000 by Otogenetics Corporation (Norcross, GA, USA). Page 6.